After it was revealed that the suspect in the shootings at a Pittsburgh synagogue had threatened on the social media network Gab to kill Jews, multiple technology providers dropped Gab, including domain registrar GoDaddy, web hosting provider Joyent, and payment processors PayPal and Stripe. The moves knocked Gab offline for nearly a week, during which the company painted itself as a martyr for free speech and milked the media for attention. On Sunday, however, Gab returned to the web. The extremist-friendly social media site’s reappearance was made possible by two companies and the men behind them: digital security company Cloudflare, helmed by self-described “free speech absolutist” Matthew Prince, and domain registrar Epik, led by Rob Monster. Cloudflare, which protects websites from denial-of-service attacks, is best known for dropping neo-Nazi website the Daily Stormer as a customer, effectively exiling the Stormer from the web, following the white-supremacist rally in Charlottesville, Virginia in August 2017. Immediately, though, Cloudflare CEO Matthew Prince said he regretted his decision, and would in the future not arbitrate acceptable speech. “Literally, I woke up in a bad mood and decided someone shouldn’t be allowed on the internet. No one should have that power,” Prince wrote in a staff memo on the issue. Now, in one of the first tests of that approach, Cloudflare is among the few internet infrastructure companies continuing to provide service to Gab. 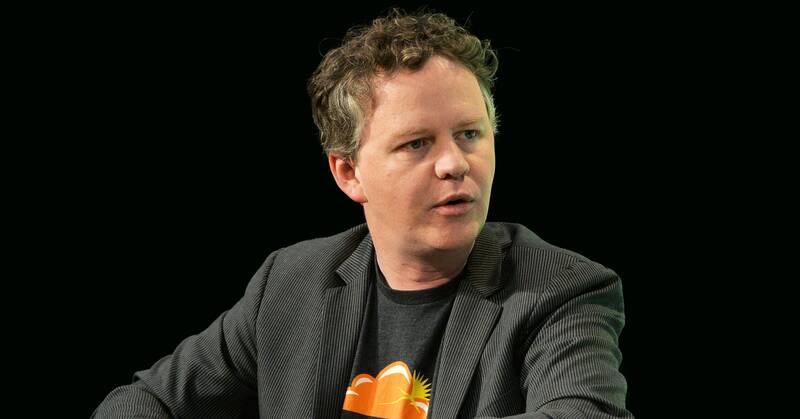 In an email to WIRED, a Cloudflare representative said the company could not comment on a client without permission, but said it has “been vocal about that fact that deep infrastructure companies like Cloudflare should not be in the position to make editorial decisions based on content.” Cloudflare’s service has also hidden the identity of Gab’s new web hosting provider, which remains unknown. Monster’s support for Gab appears to have started soon after the site went down, in a thread on NamePros, a domain-name discussion forum. Long before he had announced his intent to work with Gab, Monster defended the platform fiercely, describing GoDaddy’s decision to drop the site as “a lynching” and posited that some high-profile attacks could be “false flags” in the wake of the Pittsburgh massacre. In a verified profile tied to his domain registrar company Epik, Monster downplayed the prevalence of hate speech on Gab, disparaged the mainstream media, and alluded to conspiracy theories. Monster said he would be “coaching” Gab CEO Andrew Torba and act “an ombudsman” for the platform. Some of these comments conflict with the relatively neutral persona he has presented publicly since the news of Epik’s partnership went public. In a brief interview with the Seattle Times Sunday, Monster likened his company to a utility provider and said he supports free speech. He praised the operators of Gab and said he believes they will curate the site appropriately. “I do believe the guys that are on the site are vigilant,” Monster said. Monster said on Epik’s website that his company was serving as Gab’s domain registrar but not its hosting company. His company Epik describes itself as “The Swiss Bank of Domains” and is one of the few US-based registrars with a history of refusing to respond to reports of illegal activity. According to a report by pharmaceutical watchdog organization, LegitScript, Epik has been told that some of the domain names the company sponsors sell illegal drugs and inauthentic medications, yet the company has not acted. On Oct. 29, in response to a pro-Gab thread posted by a user sporting the NPC avatar favored by the extreme right, Monster described the actions of the other internet infrastructure companies as “heavy-handed” and asked if anyone knew the best way to get in contact with the folks behind Gab. A couple of hours later he posted again. “As near as I can tell, this does not seem to be a site overtly promoting hateful content,” he wrote. A few hours later, Monster wrote, “I was looking on their Archive site and am struggling to find this evil content,” somehow missing the unbridled racism and anti-semitism that defines the platform. Monster did not return a request for comment.